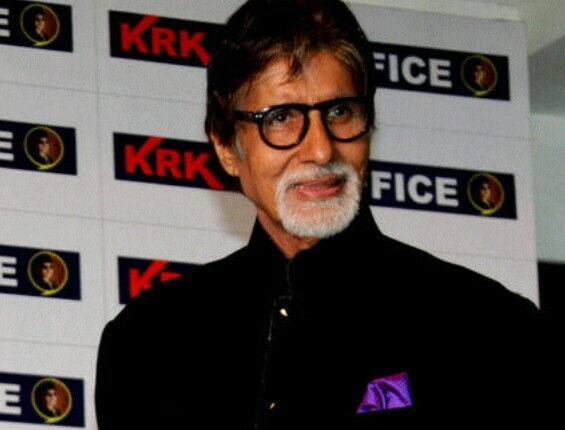 Amitabh Bachchan, the Shenshah of Bollywood has landed into trouble. A Los Angeles federal court has summoned the Bollywood actor today for allegedly instigating violence in the 1984 anti-Sikh. Here, his son has achieved major success with his movie Happy New Year and father Amitabh can’t even rejoice for he has been summoned by the US court for a very serious matter. Amitabh Bachchan has been accused of raising slogans saying, “Khoon ka Badla Khoon se lenge” (Blood for Blood) slogans against Sikhs on October 31, 1984, after the then prime minister Indira Gandhi was assassinated. The issue is quite old but a very serious matter and Big B has just 21 days to respond to these insane charges against him. Bachchan wrote a letter, “I wish to take this opportunity to vehemently and categorically deny these allegations against me which are completely baseless, false and untrue. The Nehru-Gandhi family and our family have old ties from our city of origin, Allahabad. We have been together in each other’s hour of grief and joy, but to allege that I was a part of the crowd that incited them to raise anti-Sikh slogans is a preposterous and blatant lie. Quite contrarily, I have always propagated the soothing of injured feelings and the maintenance of serenity. MENLO PARK, California: Many of the people who read this article will do so because Greg Marra, 26, a Facebook engineer, calculated that it was the kind of thing they might enjoy. Marra’s team designs the code that drives Facebook’s News Feed – the stream of updates, photographs, videos and stories that users see. He is also fast becoming one of the most influential people in the news business. Facebook now has a fifth of the world -about 1.3 billion people – logging on at least monthly. It drives up to 20% of traffic to news sites, according to figures from the analytics company SimpleReach. On mobile devices, the fastest-growing source of readers, the percentage is even higher, SimpleReach says, and continues to increase. The social media company is increasingly becoming to the news business what Amazon is to book publishing – a behemoth that provides access to hundreds of millions of consumers and wields enormous power. About 30% of adults in the United States get their news on Facebook, according to a study from the Pew Research Center. The fortunes of a news site, in short, can rise or fall depending on how it performs in Facebook’s News Feed. The shift raises questions about the ability of computers to curate news, a role traditionally played by editors. It also has broader implications for the way people consume information, and thus how they see the world. In an interview at Facebook’s sprawling headquarters here, which has a giant, self-driving golf cart that takes workers between buildings, Marra said he does not think too much about his impact on journalism. Roughly once a week, he and his team of about 16 adjust the complex computer code that decides what to show a user when he or she first logs on to Facebook. The code is based on “thousands and thousands” of metrics, Marra said, including what device a user is on, how many comments or likes a story has received and how long readers spend on an article. The goal is to identify what users most enjoy, and its results vary around the world. In India, he said, people tend to share what the company calls the ABCDs: Astrology, Bollywood, cricket and divinity. If Facebook’s algorithm smiles on a publisher, the rewards, in terms of traffic, can be enormous. If Marra and his team decide that users do not enjoy certain things, such as teaser headlines that lure readers to click through to get all the information, it can mean ruin. When Facebook made changes to its algorithm in February to emphasize higher-quality content, several viral sites that had thrived there, including Upworthy, Distractify and Elite Daily, saw large declines in their traffic. Facebook executives frame the company’s relationship with publishers as mutually beneficial: When publishers promote their content on Facebook, its users have more engaging material to read, and the publishers get increased traffic driven to their sites. Numerous publications, including The New York Times, have met with Facebook officials to discuss how to improve their referral traffic. The increased traffic can potentially mean that the publisher can increase its advertising rates or convert some of those new readers into subscribers. Social media companies like Facebook, Twitter and LinkedIn want their users to spend more time, or do more, on their services – a concept known as engagement, said Sean Munson, an assistant professor at the University of Washington who studies the intersection of technology and behavior. Ben Smith, editor-in-chief of BuzzFeed, a news and entertainment site, said his rule for writing and reporting in a fragmented age is simple: “no filler.” News organizations that still publish a print edition, he said, have slots – physical holes on paper or virtual ones on a home page – that result in the publication of stories that are not necessarily the most interesting or timely, but are required to fill the space. It was partly to discourage such slot-filling that BuzzFeed did not focus on its home page when it first started, he said. Haik, the Washington Post digital editor, is leading a team, started this year, that aims to deliver different versions of The Post’s journalism to different people, based on information about how they have come to an article, which device they are on and even, if it is a phone, which way they are holding it. “We’re asking if there’s a different kind of storytelling, not just an ideal presentation,” she said. For instance, she said, people reading The Post on a mobile phone during the day, will probably want a different kind of reading experience than those who are on a Wi-Fi connection at home in the evening. The Post is devoting time and energy into such efforts, Haik said, because it is “ultimately about sustaining our business or growing our audience.” More than half of its mobile readers, she said, are millennials who consume news digitally and largely through social media sites like Facebook. Some publications have found a niche in taking the opposite approach. The Browser is edited by Robert Cottrell, a former journalist at The Financial Times and The Economist. Cottrell skims about 1,000 articles a day, he said, and then publishes five or six that he finds interesting for about 7,000 subscribers who pay $20 a year. A recent selection included the life of an early-20th-century American bricklayer and a study of great Eastern philosophers.